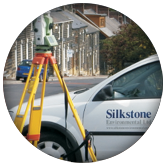 Silkstone Environmental Ltd undertake a range of site investigation and geotechnical services which can be integrated with any of the other services provided by the company. Reports are comprehensive and concise and where required include an executive summary written in plain English for the non-technical reader. Site Investigations are undertaken where ground conditions require definition. 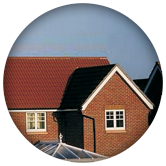 To satisfy a building control, bank or insurance company requirement. To address a risk to human health or the environment. To enable the correct design of foundations or excavations for new build or infrastructure engineering. To investigate a problem with rock faces, slope failure, subsidence, collapse, heave, or problems caused by historic mining (including coal and other minerals) or quarrying activities. Design , supervision and construction quality assurance (CQA) of earthworks including embankments, clay liners for ponds and lagoons, and landfill liners. Design and supervision of operations to make safe mine and quarry workings, and natural voids. Slope and rock face assessment for health and safety, and design and supervision of new faces and slopes. Investigation of flooding and design of remedial measures. Expert witness work in any of the fields described. Phase 1 Desk (or Desktop) Studies. These comprise a review of the existing published information concerning a site using various sources of information. Site walk over survey/site inspection. 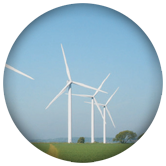 Some problems can be addressed by a site inspection by an appropriately qualified and experienced Silkstone Environmental engineer. Phase 2 (Intrusive) investigations for geotechnical conditions. These investigations are undertaken where it is necessary to determine ground conditions for construction or excavation. Both factual and interpretative reports can be provided. Phase 2 (Intrusive) investigations for contaminated land. These investigations are undertaken on 'brown field' land and determine the level of risk from contamination (if present). Subsequent supervision and validation of remedial works can be provided where required. Cable percussion, rotary drilling and windowless sampling. Trial pitting with an excavator (including soakaway testing where required). 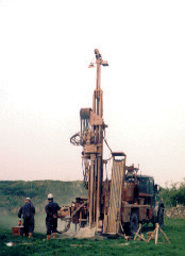 Ground penetrating radar and other geophysical techniques.